Hello there. We want to give you a peek into the inventory of vases that we use regularly for weddings and events here at Flourish. These vases (and more!) are available for you to rent as part of your event order or to buy individually or as set for your own personal use. This ceramic vase is about 6 inches tall and wide, making it the perfect size for a medium centerpiece. The rustic but timeless look gives it the feel of bringing the outdoors inside to your event. The small pedestal gives the vase a little extra flair and height so arrangements can be styled to flow over the sides or rounded on top like this one. 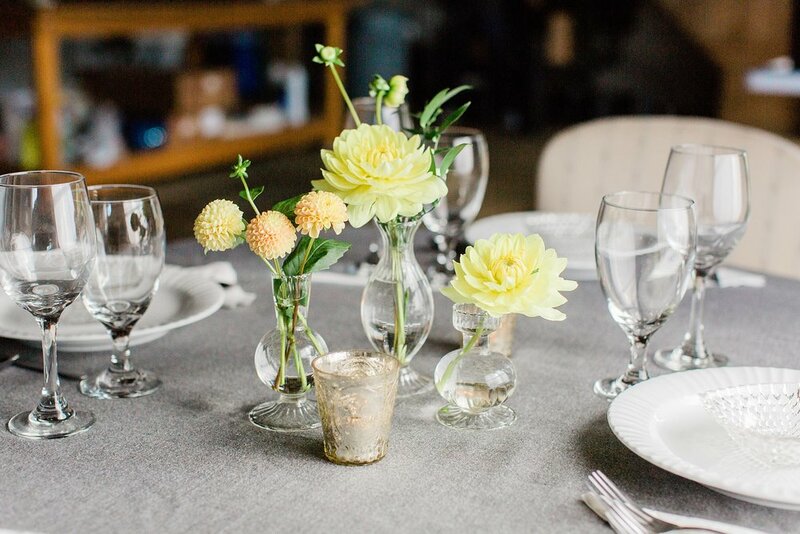 These mercury glass vases are used constantly over the wedding season here at Flourish. They are on trend with their gold and silver shine and again, the perfect size for that middle of the table display. 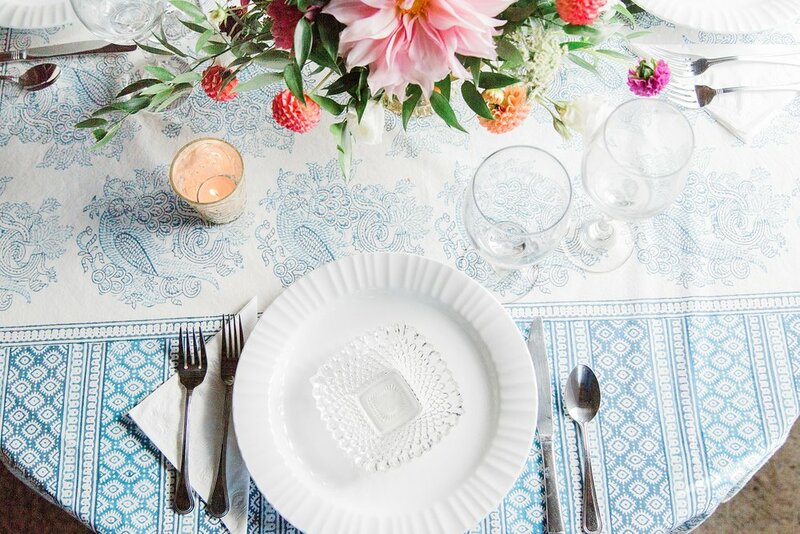 The long and shallow dish at the top works well for short but dynamic arrangements that flow out of the confines of the container and into your table settings. We tape a block of Oasis in the dish and design with that as our base. Despite the pretty pedestal, these vases with arrangements included still sit low to the table so they won’t interfere with conversation. These versatile goblets are small but very functional. They can hold a statement arrangements by filling the base with oasis (above) or be filled with water and hold a generous amount of loose stems (below). We often use these mercury glass beauties for cocktail tables or for accent arrangements on card or food tables. Another mercury glass favorite! The size of this vase is comparable to it’s oblong counterpart but it has a deeper dish and is more round in shape. Still good for centerpieces, but with this vase you can get a little more height if you want it! We love these handy little bud vases! They are clear glass and come in three heights, all relatively short and slightly different from each other. Combine three in the center of a table or a bunch of them together in a windowsill or down the middle of a long rectangular table. They are the perfect choice if you want a few flowers to go a long way in your decoration design.